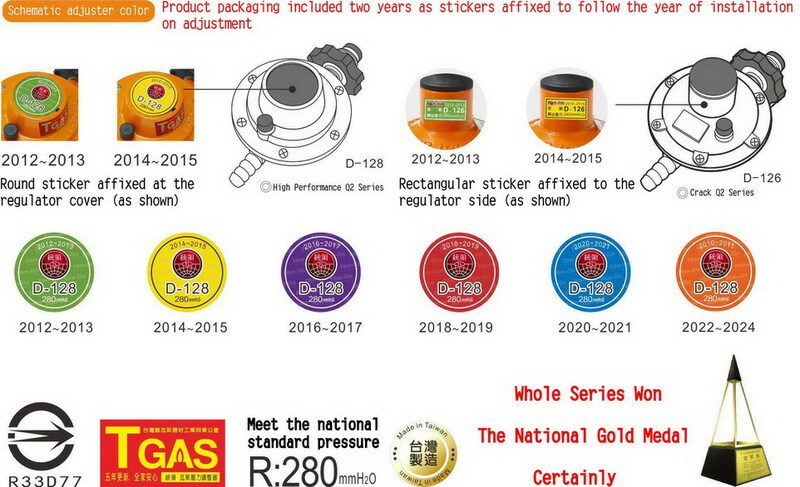 Taiwan Q2.8 [efficient] Gas Regulator (excess flow automatically cut off the Schedule Type) - Turng Liin Industrial Co., Ltd.
(2) applies stoves: Hourly consumption of energy 33600kcal / h of gas stoves are applicable to the following example: gas cooker, seafood stove, two / three-ring gas stove, water heater (12 liter). 3 smooth flow design, enabling full advantage of firepower, thermal performance of fully released, and thus enhance the performance of gas appliances, to save gas effect. 4 Application: water heater (18 liter).